EyeDream, a form of orthokeratology (ortho-k), corrects your vision while you sleep. Simply apply the custom contact lenses before you go to bed, remove them upon waking and enjoy a world of clear, natural vision throughout the day. EyeDream is non-invasive, safe & effective and has transformed the lives of thousands of people across the world. Upon waking, the slight change (less than half the width of a human hair) in corneal curvature is enough to create clear, sharp vision for the duration of the day. EyeDream uses a tried-and-tested design and can only be prescribed by a trained optometrist. Despite its almost too-good-to-be-true benefits, EyeDream costs about the same as wearing daily disposable contact lenses every day. Book an EyeDream consultation to find out more. 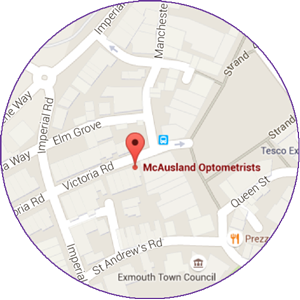 Arrange an appointment to speak to Keval (an EyeDream wearer himself) or book an EyeDream Consultation. You can also find more general information about the EyeDream system here. Numerous studies have indicated that ortho-k lenses, such as EyeDream, can dramatically slow the progression of short-sightedness (myopia) in children – subsequently reducing the risk of developing associated problems, such as glaucoma, in adulthood. And because they are only worn at night and at home, EyeDream lenses offer children and parents many other benefits. Click here to find out more.